Over the years, we have created many special projects based on the life and work of Janusz Korczak. We have also come across many wonderful projects that we would like to share with you on these pages. We are sure that once you hear or read about Janusz Korczak, you will come up with your own special ideas and we look forward to hearing from you and your students in the near future. We offer 6 sessions during the school year. The objective is to let Korczak be with children and staff for the whole school year in order for his ideas to stay in their hearts and minds forever. Who is the Boss – Korczak had a wonderful way of explaining to children what is going on in their minds when they are happy, sad, or angry. We finish the last session by creating a Gratitude Gift for the classroom teacher. These sessions can be presented to children in grades 3 through high school. There are plans for the Polish Consulate General in New York to invite schools to participate in What is Your Dream project. 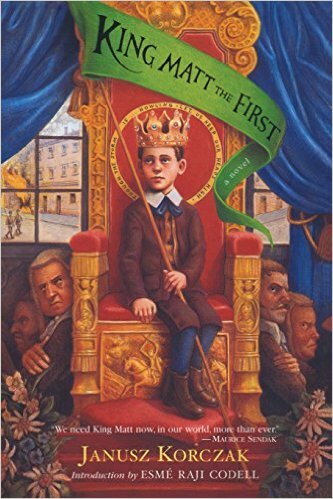 Children will be introduced to life of Korczak through reading parts of King Matt I by Korczak and The Champion of Children – The Story of Janusz Korczak by Bogacki. Inspired by their new gained knowledge, students will create a piece of art, collage/a poem/a song/a poster or story/essay based on the quotations chosen or based on the story of this outstanding educator. Students and their teachers will be invited to a meeting in the Polish Consulate with Tomek Bogacki, the author of The Champion of Children. 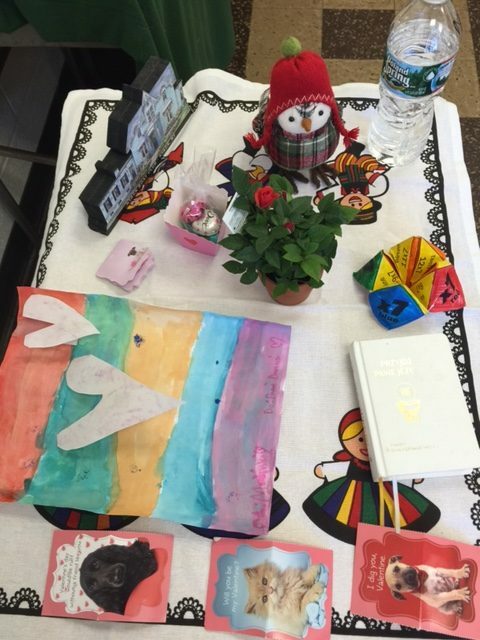 Students will display their artwork and present their poems and songs. The whole event, especially students’ presentation will be filmed and parts of the film will be available on Youtube. After watching a 30 minute documentary film intended for children and adults who were once children, educators can use a booklet that comes with the movie to create projects to bringing Korczak, the person and the educator, closer to their students. The movie is based on testimonials of three Korczak’s students – Shlomo Nadel, Yitzhak Belfer and Mira Caspi and educator Yehuda Cahana. The materials were prepared by the Education Division of the Ghetto Fighters’ Museum in Israel. For more information, visit Yad LaYeled Children’s Museum in Western Galilee, Israel, or check out their website at GFH.org.il. 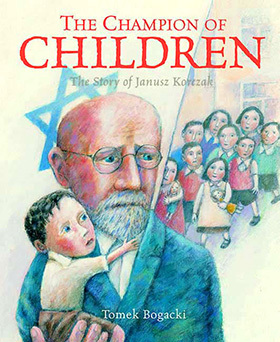 Korczak believed that children can take responsibility for their own learning. They learn how to do self-assessment, how to set intention before the activity and learn simple movements to prepare their brains for learning. After 20 minutes of intense attention, they are allowed to take a break to drink some water, move and do some sensory integration exercises in the Take a Break Area designated in their classroom. Teachers and parents are encourage to attend a workshop, retreat or read The Five Star Program® A Step-by-Step Teacher’s Guide to Innovative Classroom Strategies that Awaken Students’ Unique Potential available at Amazon. After using the program in the classroom and homes, we explored the possibility of using the program in the after school setting for a full school year. The program was met with enthusiasm from children who loved doing Brain Gym® movements and taking learning breaks. Click here to read more (page 2). This program has been expanded into the East Ramapo Enrichment Program for the 2016-2017 school year. There are many ways to bring Korczak’s ideas to enhance Holocaust Education. You can read about one such successful project here Found Poetry Project. In November 2014, we were invited to give a seminar at Ramapo College, NJ on Korczak and his pedagogical model to New Jersey middle school teachers attending a full day workshop on Educational Philosophy and the Legacy of Janusz Korczak in Teaching about Holocaust. Click here to read more. Marcia Talmage-Schneider offers workshop to 4-6th grade students based on her book, Janusz Korczak: Sculptor of Children’s Souls”. Students read her book and then meet to discuss various methods used in the orphanage, tell her what they liked about the stories in her book and what bothered them. Florida Center for Instructional Technology, College of Education, University of South Florida created a segment on Janusz Korczak in a form of the Teacher’s Guide to the Holocaust. You can find more information about it here. We offer workshops for teachers and educators on various aspects of Korczak’s pedagogical methods, his life and life in the orphanage. We also have plans to bring teachers to Poland to visit the orphanage (currently Korczak Research Institute and a Foster Home), and other places connected to Korczak’s life and the lives of his orphans and staff in Warsaw. We would also visit Treblinka Camp where their lives ended. We would have the opportunity to visit schools that use Korczak’s methods and finally spend glorious days at Korczakowo Camp. If you are interested in participating or helping to manifest this trip, please contact us.